Judging by the Reserve Bank statistics, New Zealanders are relatively comfortable with personal debt. Each year Canstar researches and rates personal loans available in the New Zealand marketplace and this year we have analysed 27 personal loan products from 10 lenders, with P2P platform Harmoney scoring a five star rating. 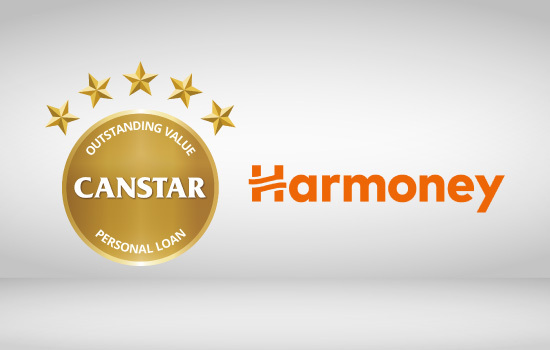 New Zealand’s first licensed and operating Peer to Peer Marketplace, Harmoney, has celebrated its first birthday in New Zealand by achieving a five star rating for outstanding value – personal loans – from Canstar. We caught up with a spokesperson from Harmoney for a quick Q&A on its first year of operation. Q: Harmoney recently passed its first birthday in New Zealand. What are the biggest milestones that you have reached over the 12 month period? A: We celebrated a successful first year and is now the fastest growing and largest Australasian Peer 2 Peer operation. Harmoney not only achieved unprecedented growth, created jobs in New Zealand, Australia and Fiji and are preparing to launch in Australia. Q: P2P in New Zealand is still in its infancy. What changes in the P2P market do you expect to see over the next 12 months? A: We expect to see more competitors in the New Zealand market which will be good for the Peer to Peer eco-system, however they may have significantly different business models. We will continue to impress upon all involved to ensure that all players keep quality and transparency of their operations at the forefront of what they do. Q: You have recently expanded to Australia – will it be more difficult – or easier – to enter an already-established market? A: We are about to launch in Australia later this month. We have gained our license in Australia and are now the only licensed Peer to Peer marketplace across Australasia. The secret of our success is a core team of people who have incredibly strong domain knowledge, having worked on three successful high growth lending operations over the past 10 years. At our core, we understand credit and are well proven in it. That is an advantage over other competitors, both here and in Australia. Readers can download the Canstar Personal Loans Star Ratings report here.